Dental bridges are one of the most popular, cost-effective and reliable ways to replace teeth lost to gum disease, decay or injury. Permanent and natural-looking, bridges restore your smile to full function. Dental crowns restore failing teeth. These full "caps" cover teeth that are damaged due to fractures, multiple fillings or extensive decay, among other problems. 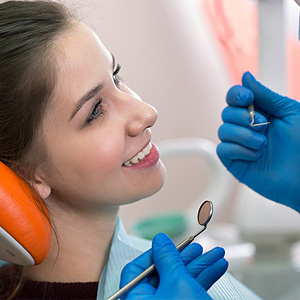 Dr. Ronald Schoepflin in Port Orchard, WA also place crowns as dental implant restorations and to cover the teeth which anchor fixed bridgework. resin-bonded--or Maryland, with one or more artificial teeth bonded to adjacent teeth via metal "wings"
All but implant bridges require some removal or preparation of enamel on supporting teeth. Dental impressions and x-rays assist Dr. Schoepflin in formulating a treatment plan for the dental lab to follow in crafting the bridgework. Dentists craft dental crowns from a variety of materials--gold for maximum strength, porcelain fused to metal and all porcelain for maximum aesthetics. Dental crowns cover and protect failing teeth or dental implants. Tooth-shaped and colored, crowns fill smile gaps to confer natural chewing, appearance, and support to neighboring teeth and underlying bone. Just like bridgework, oral impressions and x-rays provide the necessary information to craft dental crowns. Your Port Orchard, WA dentist places crowns on prepared teeth, cementing them in place and adjusting the biting surfaces. With good brushing and flossing at home and with semi-annual examinations and professional cleanings at Schoepflin Dental Excellence, crowns and bridges should serve patients well for 7 to 10 years or more. Don't let an ailing tooth fail. Protect it with a beautiful dental crown! Or, if you are missing one or more teeth, consider bridgework. Dr. Schoepflin will help you choose the right tooth replacement option to serve your healthy smile for many years. Contact his office today to arrange a consultation: (360) 871-2959.